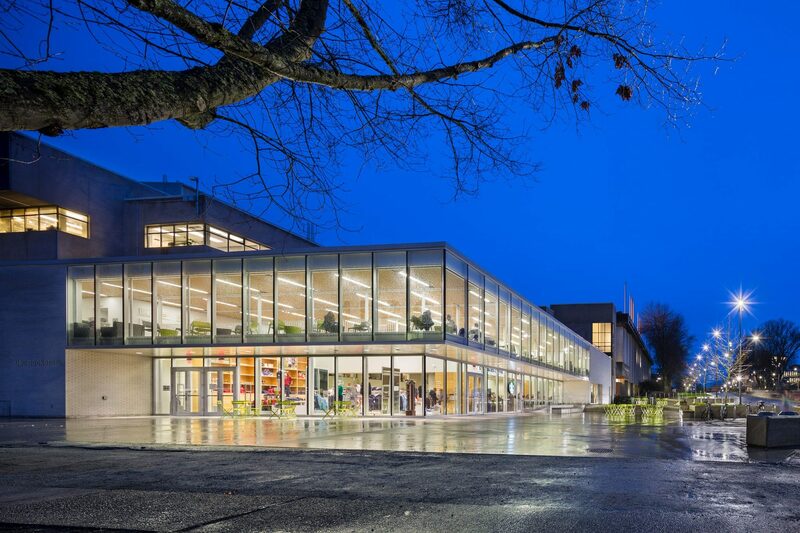 The UBC Bookstore, located in the heart of campus, was expanded to include an enhanced and rebranded retail space, a new café, mezzanine and a convenience store. The design of the space improves the presence of the Bookstore, reinvigorates the public realm in and around the building and added much needed independent study space. All spaces are illuminated with custom configured multi-function linear luminaires integrated into the architectural wood ceiling, providing both ambient and retail accent lighting.